Trade card advertising the repair and recovering of umbrellas and parasols. 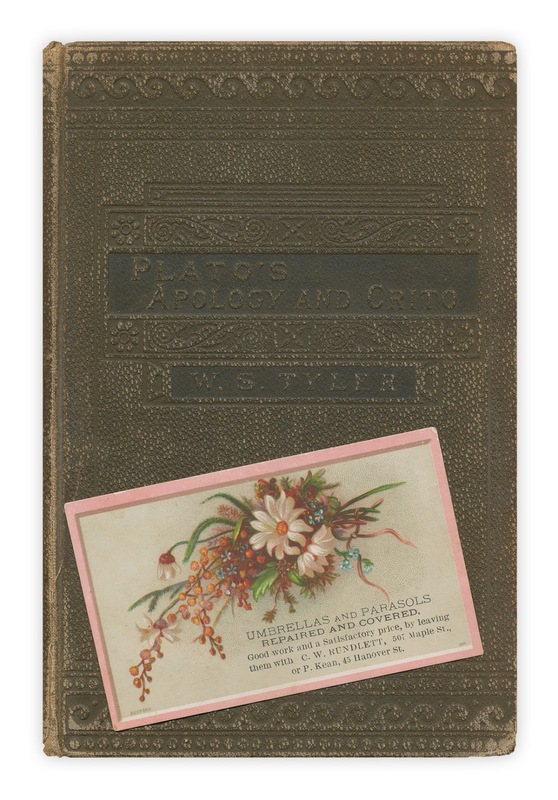 Found in "Plato's Apology and Crito" edited by W.S. Tyler. Published by the American Book Company, 1897. Thanks for all the kind words and good luck wishes regarding the new book - the winner of the Lowney's Cook Book was Grace, who entered right here on the site. I'll be sending you an email in a moment. Great cover on that book - it's beautiful! The business card is lovely.tells of a gentler time.